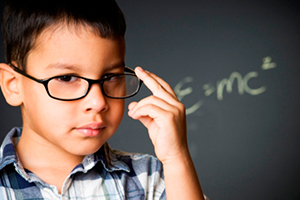 The Gifted Debate: Should You Enroll Your Child in a Gifted Program? The Gifted Debate: Should You Enroll Your Child in a Gifted Program? As parents, we would love nothing more than to see our children succeed in school and in their future career ambitions. And from a very young age, children are taught that being academically ‘gifted’ was something to be desired and to work towards in order to guarantee future success. However, the debate of whether gifted programs are indeed beneficial to children continues to dominate among educators, psychologists, and parents alike. The double-edged sword exists when parents are driven to get an edge for their bright child, while others worry that their kids will fall behind as a result of being bored in the mainstream system. Canadian school children between grades 1-4 may be nominated by a parent or a teacher to be placed in a gifted program. Although standards vary among school boards, all children must complete an intelligence test such as the Canadian Cognitive Abilities Test (CCAT) or the Wechsler Intelligence Scale for Children, and score above a predetermined percentile in order to be considered ‘gifted’. Despite popular belief, ‘gifted’ refers not only to increased mental capacity, but is also a catch-all to include many quips that gifted children often exhibit, such as severe perfectionism, a fear of failure, or physical issues such as fidgeting. Hence, most school systems now categorize gifted education as a subgenre of special education- along with various programs for children with disabilities such as deafness, language delays, and learning challenges. In fact, current US research suggests that 14% of children who are identified as being intellectually gifted may also have a learning disabilityi , although the discrepancy remains unexplained. Giftedness also brings along a host of other issues, including heightened sensitivities and social deficits. One such problem is “asynchrony”, which refers to the dissonance between a child’s advanced intellect and his/her not-so-advanced age. This often leads to social isolation and bullying. Research has also found that children who were labelled as bright after being given a test are also less likely to try potentially difficult tests. Over time, they even fail to match their original scores. While children who were praised for their efforts, not their inherit smarts, improved performance by 30%ii. The same labelling bias extends to gifted children. The choice for parents is to have their child tested and decide if the programs available are suitable or if their child will actually benefit from being in a gifted program. Be sure to speak to education providers and other parents before making the decision. Previous PostAdvice for Students: How to Choose your Post-Secondary Area of StudyNext PostShould Your Child Attend a Specialized High School?